I had never been bitten by a cat before I started volunteering at a cat shelter last summer. I’d been nipped at, sure, but never to the point of broken skin. However, none of the cats who bit me meant to do me harm — which is an important thing to remember in my position of continuing to care for them, even with fresh wounds. All had simply been overstimulated. 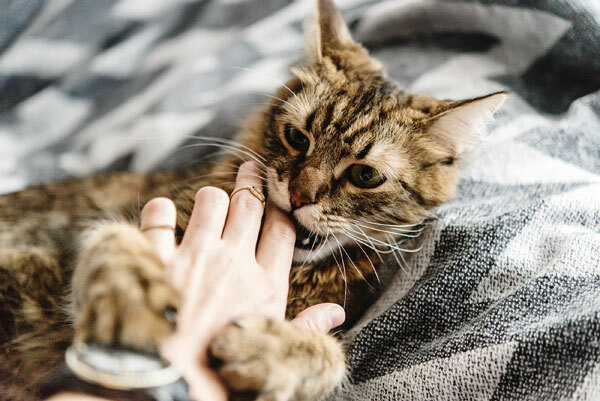 They’re living in an environment with the ever-changing sounds and smells of 130 other cats, so it’s easy to see how cat bites happen. This entry was posted in Pet Tips, Things of Interest. Bookmark the permalink.